Cape Rose is a WA made RL24 that I purchased in 2006 from Terry & Christine Hinchliffe, who had fitted it out extensively for touring, and sold it for a larger vessel. I have made small changes to it. 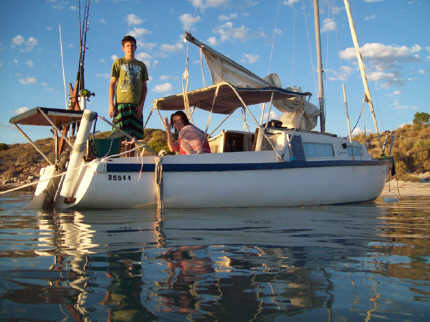 Early in April I travelled with my wife and 2 teenage children up to Shark Bay to go sailing around some of the amazing country on the western most part of the Australian continent. 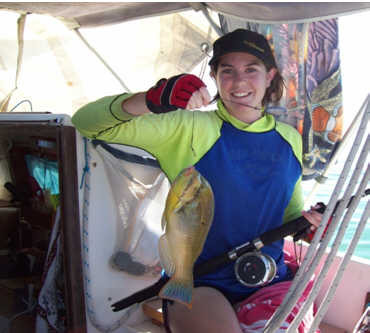 This trip followed a successful time spent in the area in March 2008, when 2 of us sailed and lived aboard the yacht for about 10 days, travelling North and South from Monkey Mia boat ramp and being surprised by the high level of wildlife we saw and the fact that we hardly saw anybody else once we got a few kilometers away from the tourist areas. After driving the 850 km from our home in the northern suburbs of Perth to the picturesque town of Denham, we had rigged the yacht and loaded supplies for a week for 4 people. 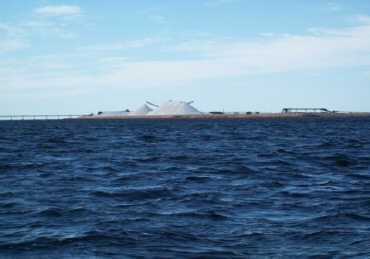 We departed the Denham boat ramp around midday, aiming to eventually go the 30 km in a South Westerly line to an area called Ant Island, just south of the Useless loop salt operation and town site. Arriving at Ant Island the next day, we dropped anchor in a magic bay just North of the island and set about exploring the area with the view to setting up a tent on shore for the 2 teenagers on board and again were amazed at the abundance of sharks and rays that were swimming in 1 metre of water right up close to the yacht. 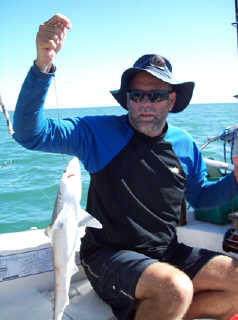 I baited a line and within 15 minutes had hooked a small shovelnose shark, we had a look at him before releasing. Sunset saw us with a cooking our meal on the beach and all ready to stop the night, with the 2 youngsters sleeping on the beach and parents on the yacht. Two glorious nights were spent here, punctuated by a fishing trip down to Le Frebe Island, south of this area. The water was so clear that we could see the fish on the bottom in 4 metres of water. Reef fish of various colours were on offer at Le Frebe, and the second night’s camp ensured we had a smorgasbord of fish cooked for tea. 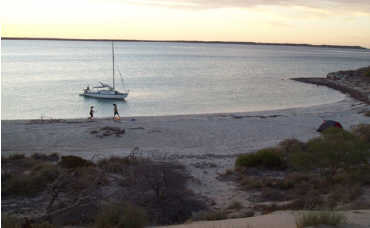 The value of the Rl24’s ability to access shallow water is a necessity in these areas as much of Shark Bay is very shallow. The fairly flat bottom works well as the vessel remains close to upright even when the water has gone. 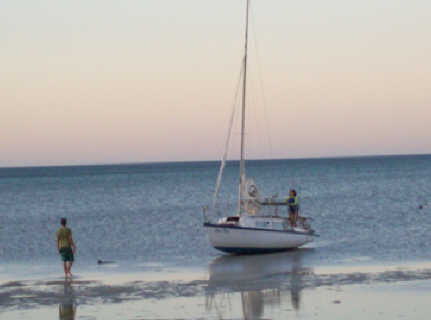 We sailed back leisurely to Denham and drove the 28km west to Monkey Mia, just as the Easter weekend was starting. With some relief we set up and got off the ramp and sailed north to some familiar Pink Snapper fishing grounds, pleased to get away from the throng of people filling up all the available camp grounds in the area. Fish were biting within seconds of the first line in the water. This short trip of just over one week was another opportunity for us to enjoy the experience that this area offers sailors in the West and wetted our appetite for more sailing over a longer period in this area. 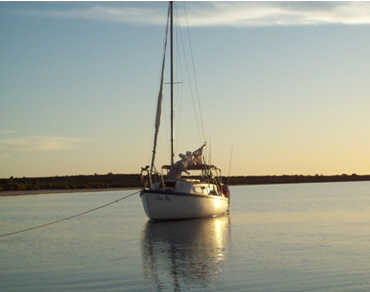 We intend to sail around to Monkey Mia from Denham next time we get to go and also spend 4 or 5 days exploring the eastern side of Dirk Hartog island. 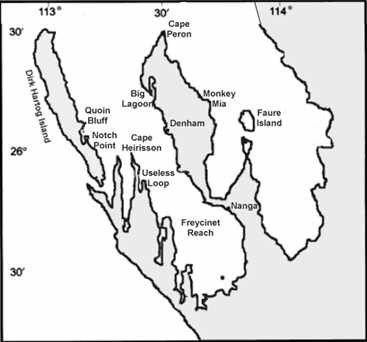 Special rules apply for fishing in the inner gulfs of Shark Bay as the area is considered a fish nursery for many species and the various rules reflect that fact. 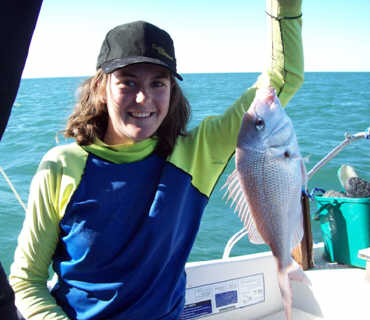 For example, the Pink Snapper population is carefully managed to protect fishing stocks for the future. We caught dozens of Pink Snapper but only 1 that was size. Many small fish is a great sign for the future. Cape Rose needs some further improvements, such as repair of a small leak near the transom where an old bracket was attached and leaking through the screw holes. Several rigging wires have been replaced as they are showing signs of wear and the old outboard motor is being replaced with a new one. Some new wiring is being considered as is a new keel winch. Keel pin repairs I did after last years trip were a great success and the leak was stopped totally. The yacht is a great piece of engineering and I find I can spend weeks fiddling around on it before and after any trips we do, but as we consider ourselves still very much novice sailors, nothing beats the time spent cruising along for hours with a fair wind on our backs together with the sense of freedom, peace and quiet that sailors everywhere appreciate. 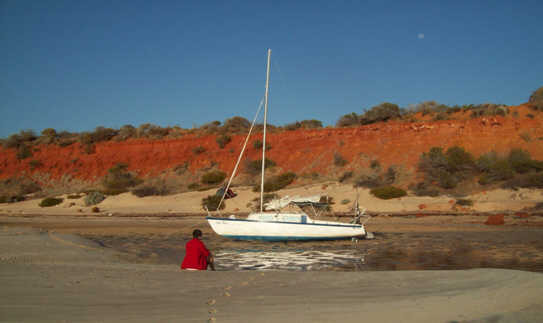 Waiting for the tide south of Monkey Mia - how’re the colours?